Come meet us at stand 15! Slush start-up conference has been growing every year and will now in 2015 be the largest venturing event in Europe. Held on November 11-12 in Helsinki, this year’s event will draw together a crowd of 15,000 tech entrepreneurs, VCs and journalists. In 2014 there were 750 investors participating, representing 140 venture capital funds. On the EIT Digital stand we will be showcasing around 30 startups and SMEs from our ecosystem connecting them to potential investors. CEO Willem Jonker will be speaking about professional education on the Green Stage the morning of the 12th. He will also chair a roundtable discussion with start-ups on the topic "How can digitalisation make your business hyper-scalable?" 3YOURMIND operates the 3D-button.com platform that connects the stakeholder of the 3D printing value chain. Online retailers: Apprl delivers high quality traffic and you pay on performance. Online publishers: Make money while creating new content that your readers really want. 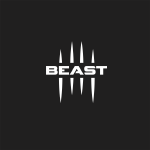 Beast Technologies produces the first wearable device to track and improve workouts. Online high-serviced physical storage service. Securing personal data of all the e-health mobile-app and web-app. ClouDesire is a cloud app store that allows software vendors to sell and distribute their applications as Software-as-a-Service, in few minutes, by automating several expensive, mission critical and time-consuming tasks. An exchange solution where the internal currency is mobile balance, an asset as universal as cash and with the same level of credibility. Next generation controlling, monitoring and visualisation solutions for Internet of Things networks. Cloud based tool for managing in-vitro diagnostics tests validation. Normal proctise is to use excel sheets and manual work so this innovation will create a major disruption in the area. Green Communications is the fruit of six years of research and development in the field of quality of service in mesh networks. The Expert in Application Protection. HeiaHeia is a mobile and web service for workplaces that motivates employees to improve their wellness through social interaction and gamification. Jusp (just pay) is innovative payment technology and Value-added services provider enabling merchants to increase their business effectiveness: transform your tablet, smartphone or PC in a mobile point of sale. Printed active light incorporated in clothing. Mapegy provides top insights from Global innovation and technology data. A payment solution for debit and credit cards, with build in tools that let online merchants sell more and convert better. Vendor of IoE (Internet of Everything) applications development platform, combining Edge and Cloud Computing, with a rich Service Delivery Platform and Process Store. Totally innnovative and unique textile sensors. Mobile authentication token for governments & banks. Sicoya designs, packages and sells silicon photonics based application specific photonic integrated circuits (ASPICs) for low cost optical data center interconnects with superior performance. Stimergy recycles CPUs heat for a sustainable digital transition. Lengthening bones - changing peoples' lives. RetailerIN is an innovative in-store analytics platform which allows to analyse customers behaviour in stores and use this knowledge to optimise store operations and increase profitability. Software solution for fully automation 70% of lab tests that today can not be done in an automated way. Hybrid personal cloud combining the best of cloud and local storage. Wellmo connects insurance companies and progressive health service providers with their members through a customer-branded mobile app, enabling integrated mobile experience across all digital services. Zoined Oy is a startup company in the reporting and analytics area. Zoined helps retail companies increase and optimize their sales through point of sales data.